President and Co-Founder of an internationally based leadership development and business growth company, and the host of a nationally televised tv talk show designed to be a resource for business owners by business owners. And yet he is tangible in his delivery, inspiring in his vision and creative in his processes. I was impressed with our conversation, we had a great time together. Always be creating the new path, find what others are not doing! 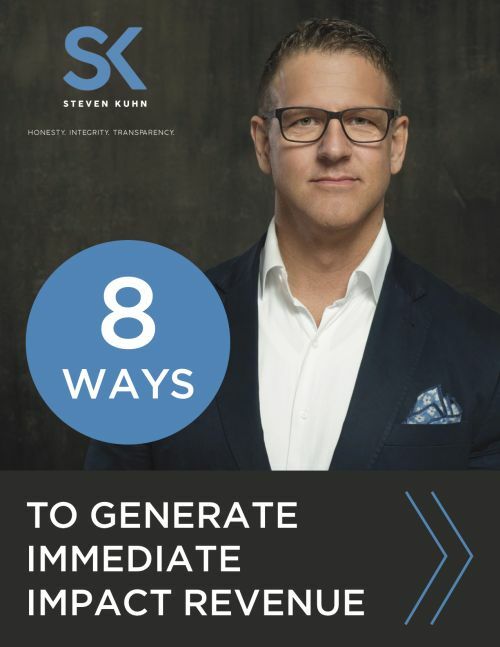 REMEMBER: When you join my group consulting program here (https://steven-kuhn.mykajabi.com/p/8-ways-revenue-pdf) , you get the bonus round of my guests going live in the group on the day I interview them, if you are not in the group, you need to wait weeks until the show goes live. If you have not done it yet, grab your FREE guide Right here!